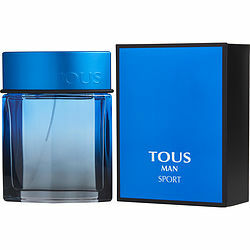 Tous Man Sport, designed by the house of Tous, has been batting around the fragrance park since 2010. A knockout combination of zesty lemon and aldehydes plays in perfect unison with cedar top notes and a heart of ginger, which packs a really fresh punch. With this invigorating cocktail of aromas, you'll feel bright, lively, and ready for action. You don't need to be lifting the trophy or playing in the top league to feel like a winner when you splash on this cologne.